Dub and Reggae Sound Station is a brand new royalty free sample collection produced by LA based collective Next Level Sound Station and features 7 authentic Dub and Reggae construction kits together with a wealth of ready to play multi sampled instruments and over 100 incredible Dub effects. This collection of Roots ready song kits contains 7 unique construction kits each with its own melodic and percussion Loop elements including Guitar Leads & Skanks, Piano Bubbles and Chops, Heavyweight Dub Basses and Rock Steady Drums. In addition to the song kits the guys have included some incredible multi sampled instruments including Bass Guitars, Electric Guitars with various effects, Melodica together with over 140 Dub Drum Shots and an essential collection of Dub FX such as Lasers, Police Sirens, Analog Sirens, Rewinds, Warning Sounds, Explosions, Gun Shots, Gongs, Lion Roars, Kung Foo Sounds, Swords Clashing, Sci-Fi Drops, Robotic Noises and not forgetting Air Horns. Next Level Sound Station is a Los Angeles-based production trio who create modern, beat-infused tracks drawing from their collective knowledge and love of Jamaican Dub, Roots, Dancehall, Reggae, Hip-Hop, and Electronic Dance music styles. Their ambitious first project is an original Dub Reggae soundtrack that garnered the “Best Use of Music” Award at the 2014 Julien Dubuque International Film Festival, for the independent full-length film, “Sunken City”, which saw domestic and international release digitally in May, 2014 by Echo Bridge Entertainment. This collaborative team of Blake Colie, Jared Meeker, and DJ Prophecy, are currently in production with various other projects that will make their influence reach well beyond LA in the upcoming months. The drums for this sample pack were recorded at the 2000BC BEAT LAB in Highland Park, LA, CA using a combination of analogue and digital equipment. Mic preamps used include UA610s, Art Tube Pres, and Presonus Direct Pres all through a Presonus StudioLive console. Mics used ran the standard gamut of pro drum mics including Shure SM57s, Audix D6, Oktava MK012,Rode NT5’s for overheads, Sennheiser 602’s for toms, and an Avantone CV-12 Tube mic as a room mic. The guitar, basses, pianos, and synths for this sample pack were recorded at Spiderfingers Studio in Valencia, CA. The instruments were miked using AKG and Shure microphones through Neve and Grace mic preamps. In detail expect to find 1.5Gb 24 Bit Quality Loops and Sounds including 14 Bass Loops, 20 Guitar Loops, 21 Piano Loops, 24 Drum Loops, 6 Bass Multi Sampled Instruments, 147 Drum Shots, 26 Drum fills, 115 SFX, 11 Guitar Multi Sampled Instruments, 1 Melodica Multi Sampled Instrument, 79 Rex2 Files and 37 Soft Sampler Instruments. 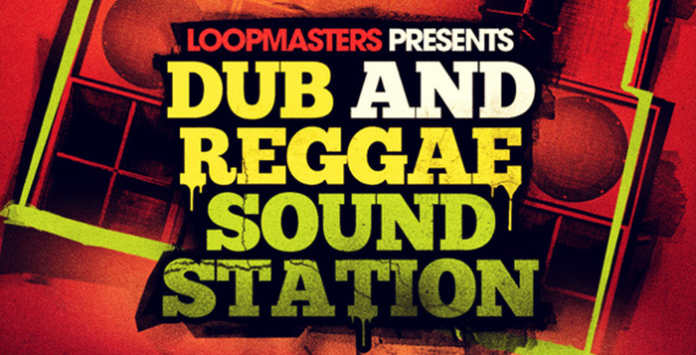 Get inspired by this truly authentic Dub & Roots Reggae sample collection offered by Loopmasters, make sure you download the free to use taster samples from this page and check out the demo then sample Dub and Reggae Sound Station TODAY!